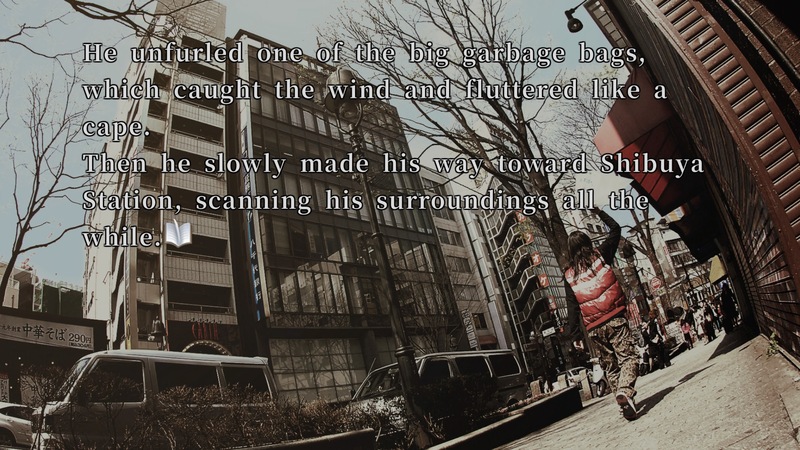 Here we are again, with another visual novel review, once again set in a famous part of Tokyo, Japan. 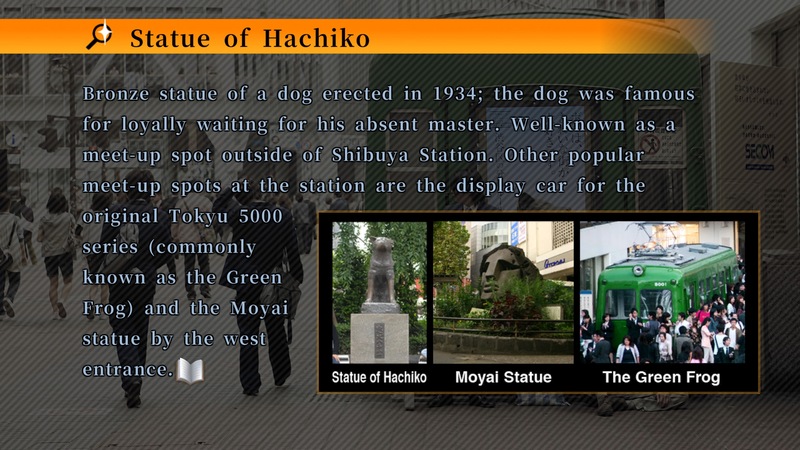 If Steins;Gate plot took completely place in Akihabara, this time is the turn of Shibuya and its surroundings to act as a background for the video game. What you are about to witness here is the demo review (available on the US Store), and the reason why I decided to bring this game up despite its age (it was originally published in Japan for the Wii on December 4, 2008), is its peculiar nature, featuring live-action actors instead of the usual 2D drawings or 3D models. Since 2008 the game has been ported on many different platforms (PlayStation 3, PlayStation Portable, iOS and Android) and it is now finally landing on our PS4s. 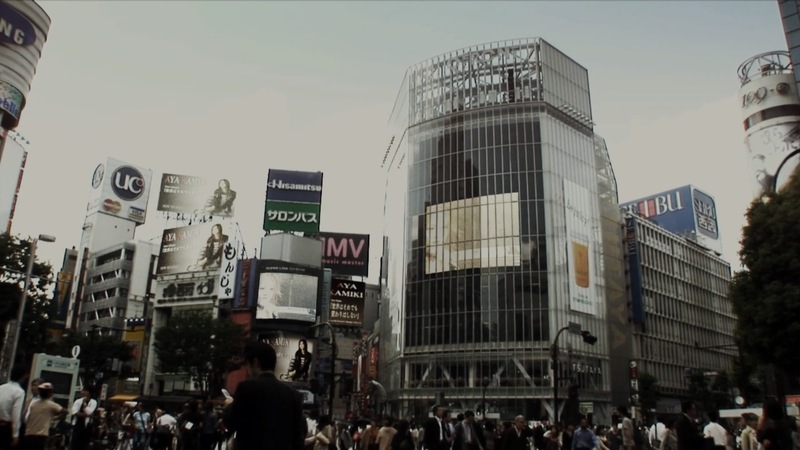 428 sports a narrative that is presented mainly using scrolling text superimposed to live action screenshots and short video clips, with a plot that initiates from the super-famous scramble crossing in Shibuya, considered the largest and the most populated scramble of the planet. 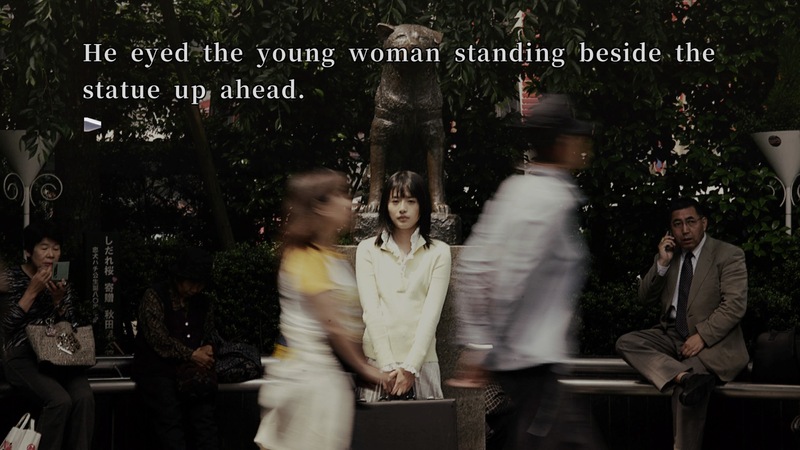 Right in front of Hachiko statue stands a girl, Hitomi, whose sister has been kidnapped a few hours before. 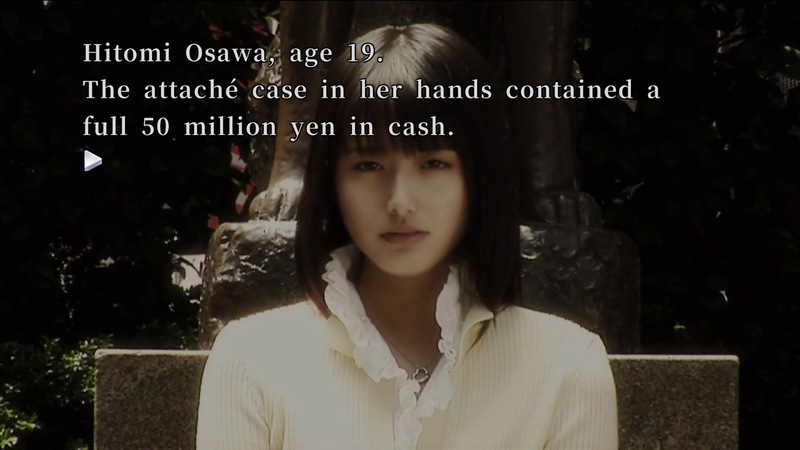 The kidnappers asked to meet at the scramble, with Hitomi carrying the ransom money. 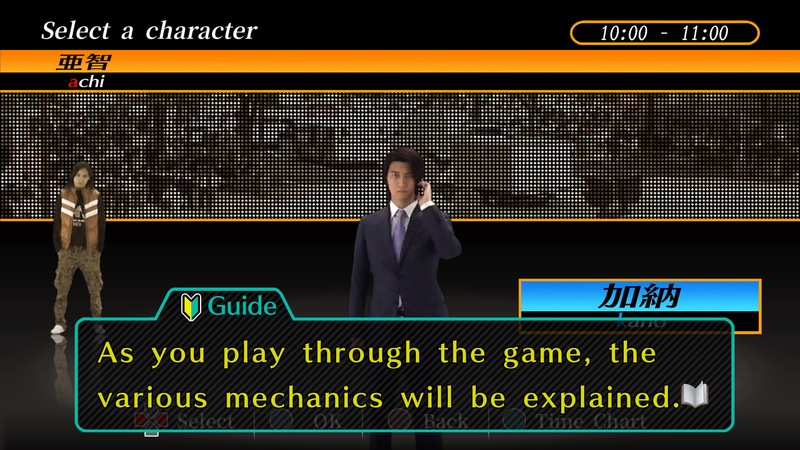 At the beginning, the gameplay seems to mimic the old right answer/wrong answer mechanic, where choosing the right option let you progress the adventure whilst picking the wrong one leads you to certain death (or at least to a game over). 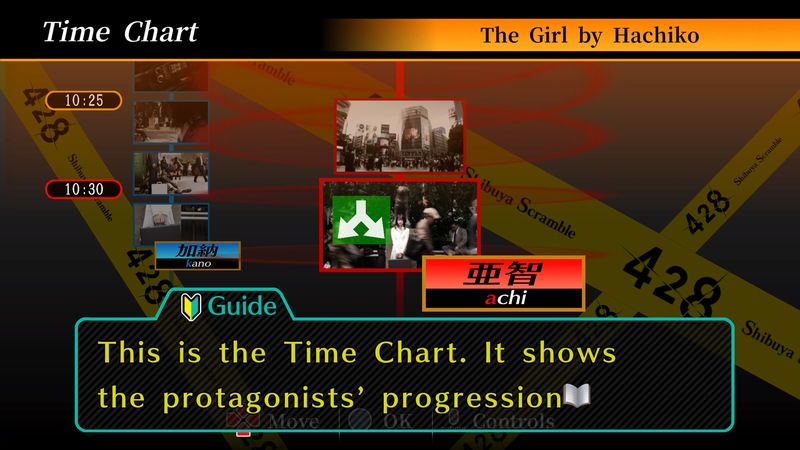 In this game, players pick their options but in doing so they actually switch between multiple storylines all taking place in the same timeframe. Each of them, though, is seen from a different character and a different point of view, and they mutually affect one another for they are deeply intertwined. 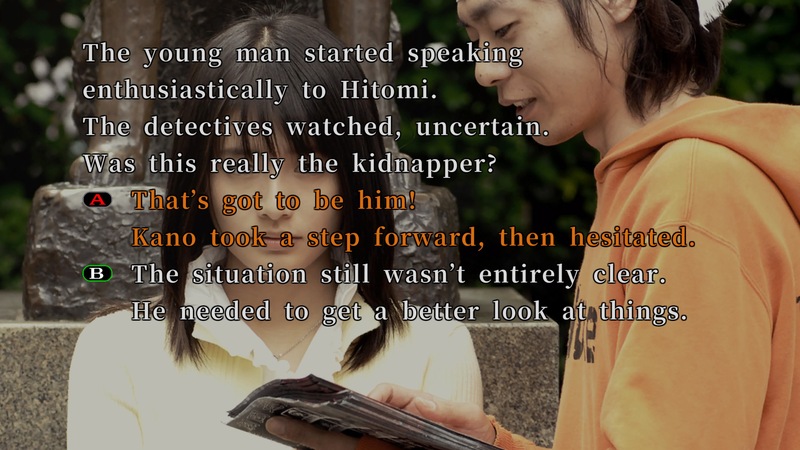 I so choose to make him approach young Hitomi. Damn, wrong choice! 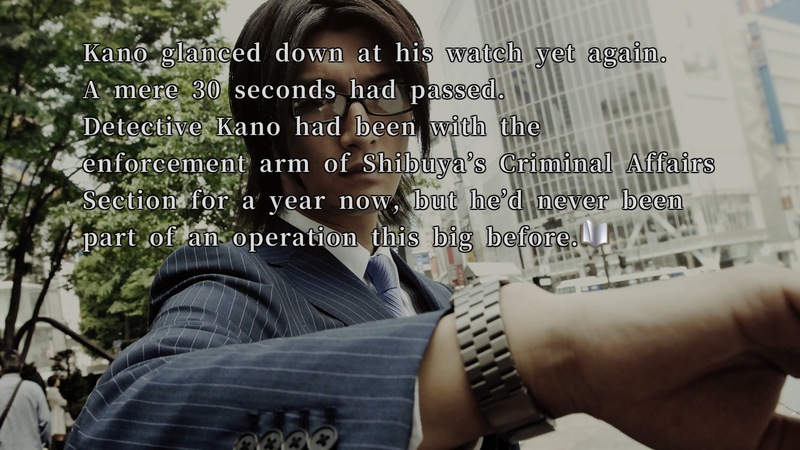 Achi’s story reaches a dead end by being wrongfully arrested, but also detective’s Kano ends up in the dirt by making the wrongful arrest. Was it really the wrong choice? It would have been for sure with the old adventures, but here the approach is different. 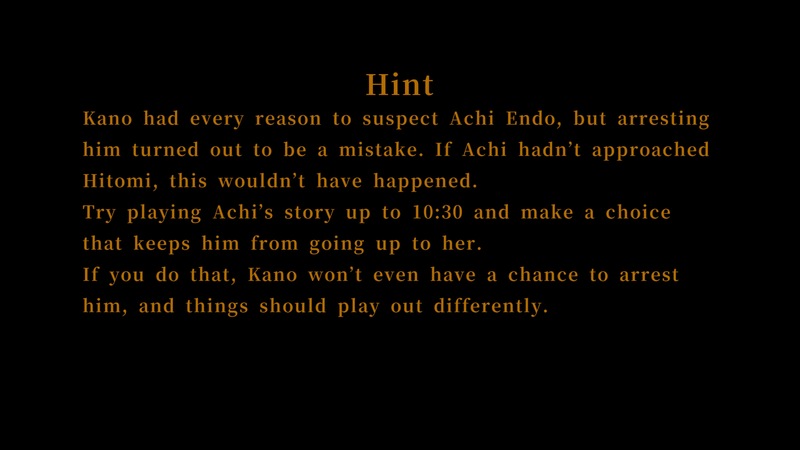 Maybe Achi is not guilty, yet we may have played his role the wrong way. What we have to do is to figure out whose actions are affecting whom in order to go back, change storyline, and pick up a different option in order to lead every protagonist toward his/her best outcome. The game mechanics may seem trivial at first, but the truth is that there are many protagonists to interact with, many different storylines to explore (all broken up into one-hour segments) and many different situations to face. I was a little biased when I started to play the game but, the more I played it, the more I had the feeling that I was actually shaping the story, not just branching from a storyline to the other. Of course, I just played the demo and the full game may end up in a different way but, if you like visual novels, I would give this one a try. 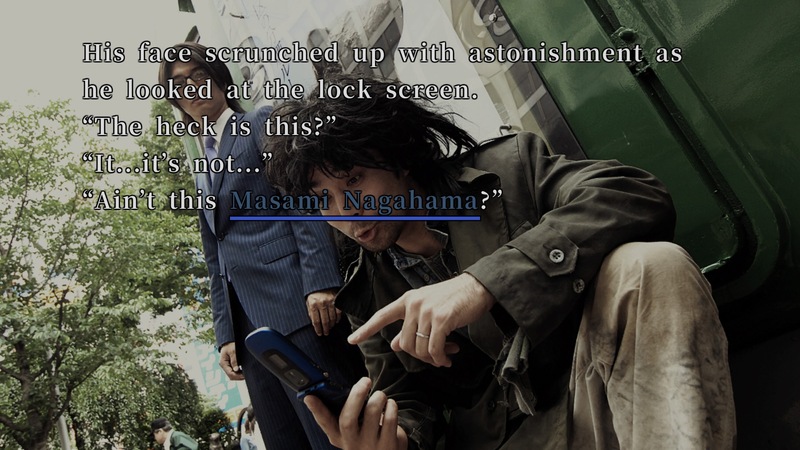 Shibuya Scramble is already out. It may be worthy of your precious time. 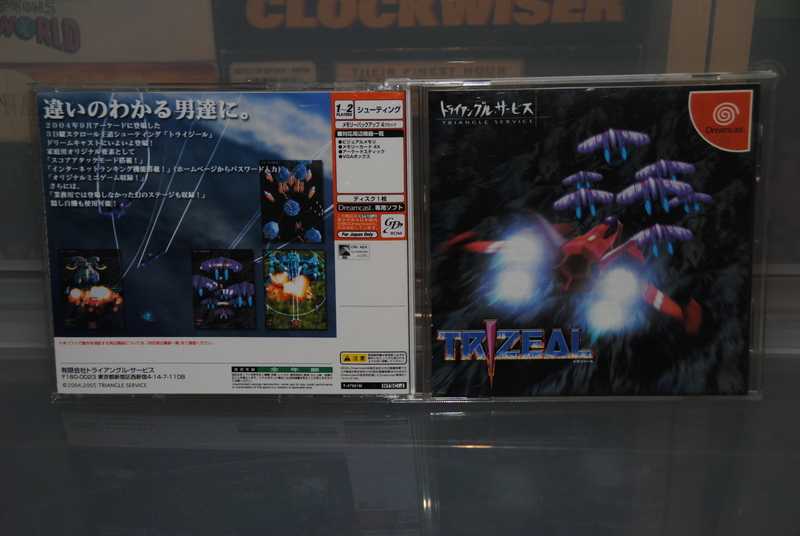 Now let’s look back a little bit about the Japanese ‘ visual novels ‘. I think the old works were called “Adventure games”. “Okhotsk Ni Kiyu”, “Suisyo-u No Dragon”…etc. Like this game, it is a game to proceed while choosing the option. I don’t think the word “visual novel” was used. 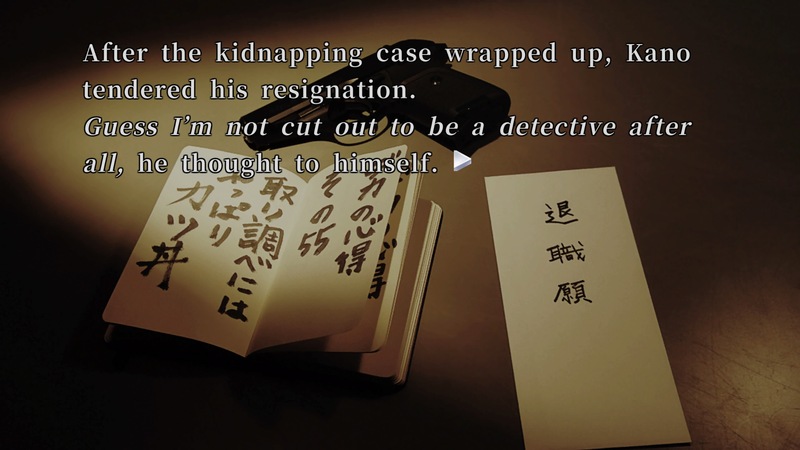 In the old days, I think there were few simple novel works like “Higurashi no Naku Koro ni”. Have you used the word “visual novel” for a long time? This is my simple question. It is characteristic that this work uses the real material. Come to think of it, there was a game where everything was made up of animation. Nowadays we use the term “visual novel” because we hade no other way to catalog such a peculiar genre, mostly based on visuals with very low user interaction (compared to the adventures we used to play in the west). Western adventures had less visuals and more interaction, even though at the beginning interaction meant typing stuff on your keyboard. I think that “Higurashi no Naku Koro Ni” is a very peculiar piece. It is more of a novel than a game. What is certain is the fact that these games, called visual novel, have established themselves in the game industry.